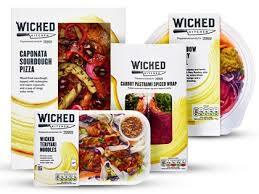 Wicked Kitchen range includes 18 vegan-friendly ready meals along with wraps, sandwiches and salads. 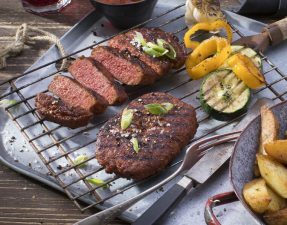 The vegan food revolution sweeping the UK has received a further boost as the largest own-brand supermarket range of 100% plant-based meals went on sale in 600 Tesco stores. From crispy carrot pastrami to sourdough pizza, the Wicked Kitchen range includes 18 vegan-friendly ready meals along with wraps, sandwiches and salads. 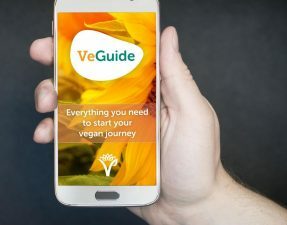 With Veganuary – a pledge not to eat animal products during January – under way, supermarkets and restaurants across the UK are fleshing out their vegancredentials amid signs that plant-based eating is becoming a mainstream movement. 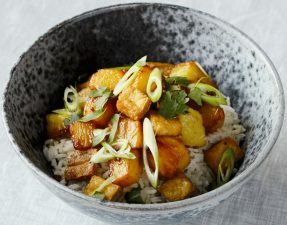 The Tesco range has been masterminded by the American chef and self-proclaimed “plant pusher” Derek Sarno, a former global executive chef for Whole Foods Market, who was hired by Tesco last year as its director of plant-based innovation. Written by Rebecca Smithers for the Guardian, read the full story here.